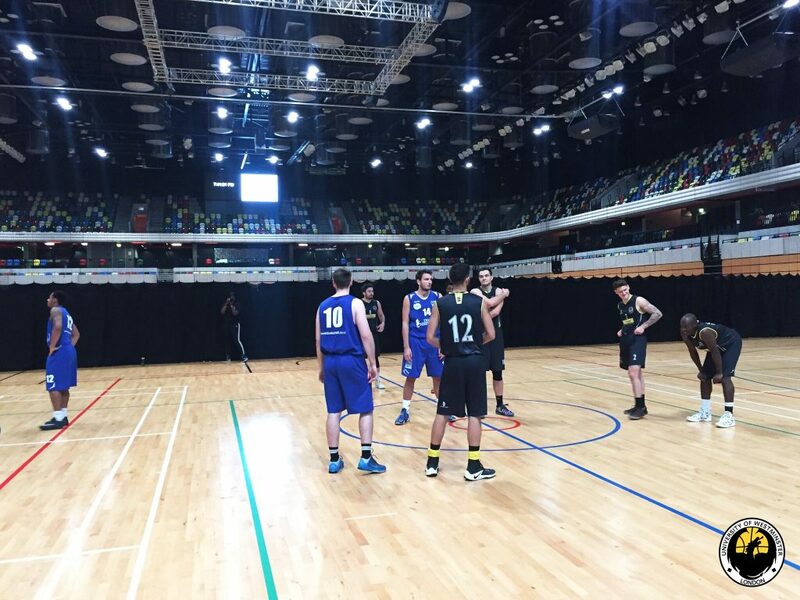 Westminster 1st Men’s Basketball win the first of the new University of Westminster Students’ Union (UWSU) Exhibition Games defeating Medway 1st 77-42 at the CopperBox Arena Olympic Park! The Dragons went into the half with a 33-23 10 point lead and didn’t look back! 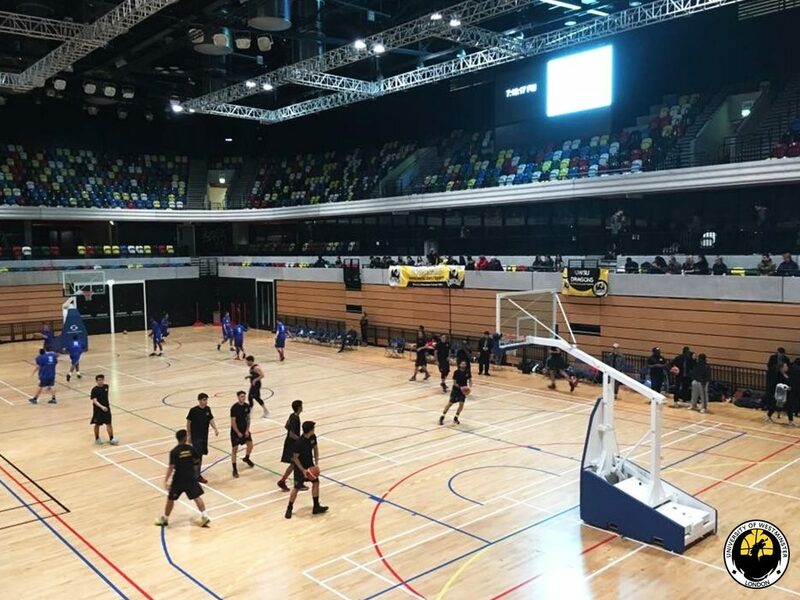 Dragons came out after the break with more focus and didn’t disappoint the home crowd dominating the second half 44-19, with the final score of 77-42. A total of 10 Dragons were on the scoresheet on the evening! Center Teo Psychidis dominated inside and out with 22 points including 3 3’s in the 4th Quarter. 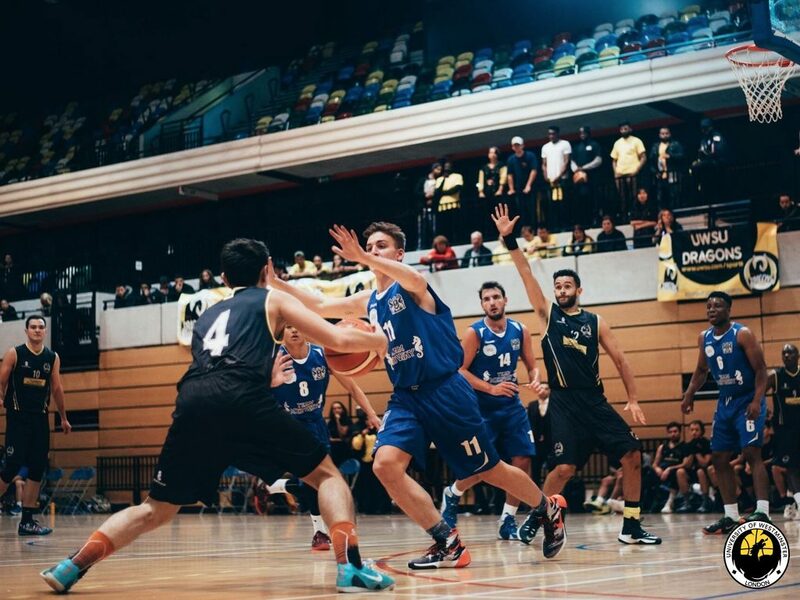 Guard Atilla Öztuncay continues his impressive scoring form with 21 points and rookie guard Vlad Petrea added 10 points off the bench. 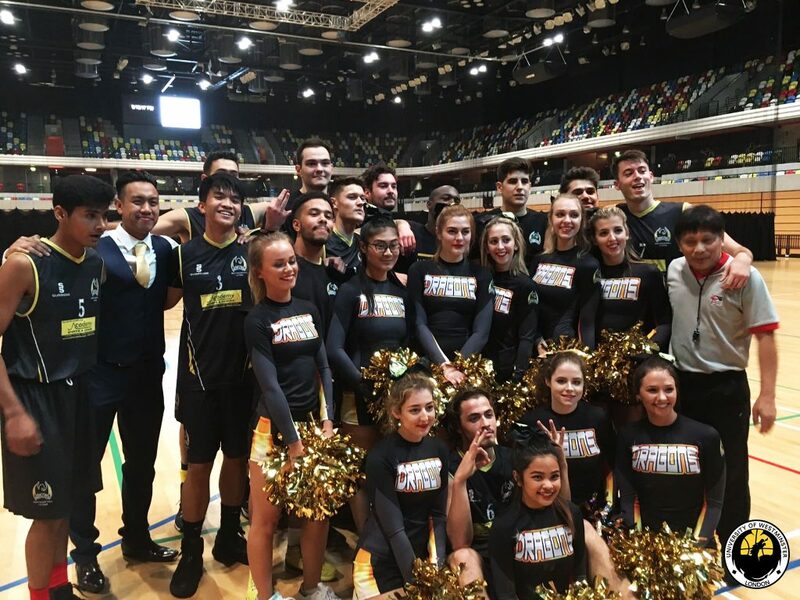 Over 150+ Westminster Students came down to support the Dragons at the CopperBox, Olympic Arena which included a special halftime show from the UWSU Cheerleaders. 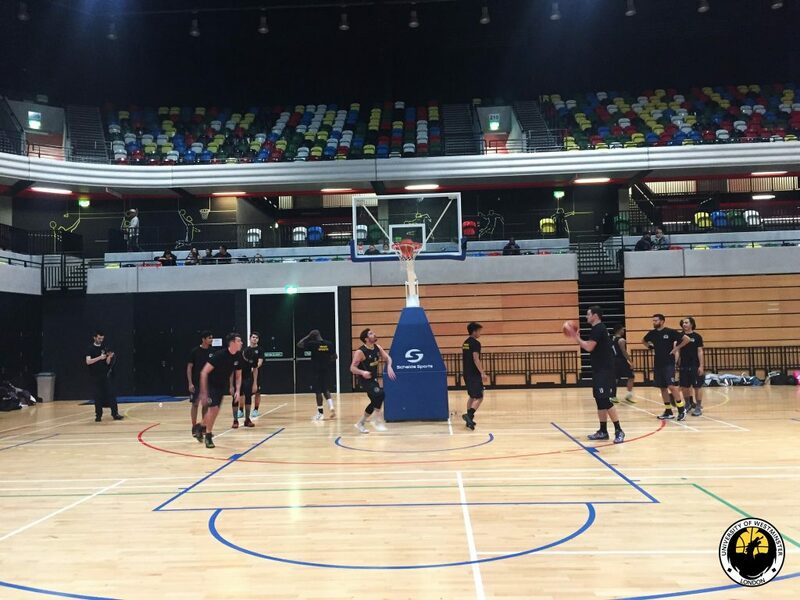 This is the first time University of Westminster Basketball has performed at a professional arena. 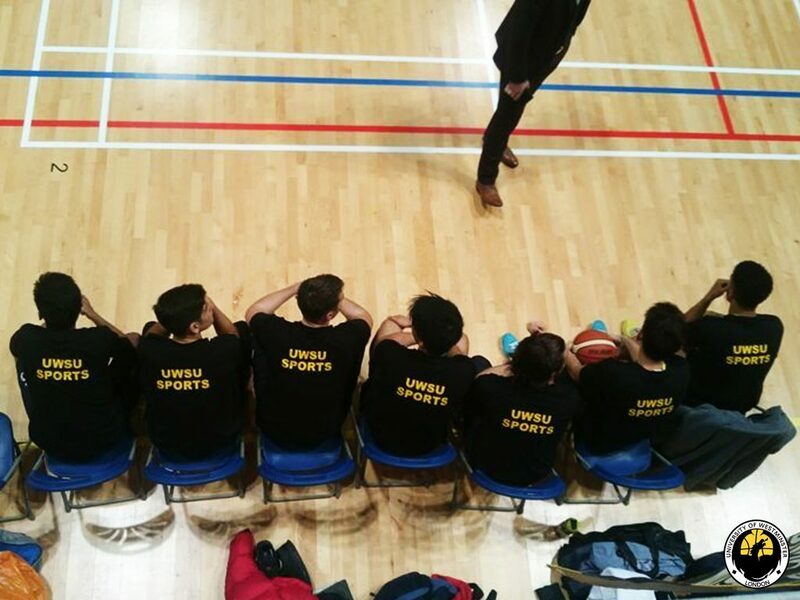 Great evening for the UWSU Dragons!